THIS YEAR'S NOBEL Prize in Medicine went to three geneticists, Ed Lewis, Christiane Nüsslein-Volhard, and Eric Wieschaus, for their efforts to elucidate the mechanisms that pattern the body during development. This award also recognizes the contributions of geneticists over the past 150 years or so, which have led to some of the most remarkable findings of modern biology. Early interest in the development of body pattern was largely motivated by curiosity on the origin of the diversity of living species. In 1859, Charles Darwin noticed a common feature of many creatures: repetition of elements along the length of the body, a property now known as segmentation. He remarked that nature had adapted some primordial, similar elements (segments) to diverse functions. Some years later, in 1894, William Bateson defined a phenomenon he named homeosis, by which one segment is transformed into the likeness of another. By the first quarter of this century, the father of modern genetics, Columbia's Thomas Hunt Morgan, had begun his influential work on the fruit fly Drosophila, whose short generation time and ease of culture in the laboratory made it an ideal organism for the study of heritable characteristics. 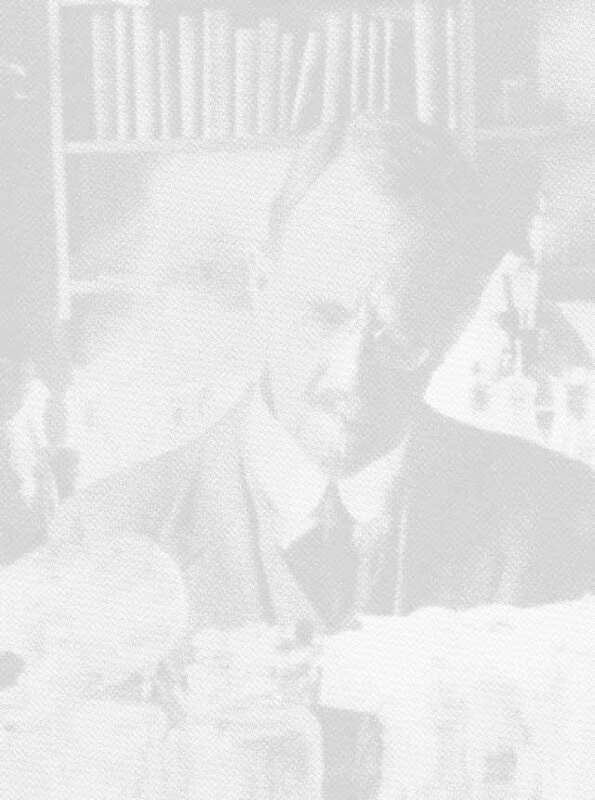 In 1923, Morgan discovered that homeosis is inherited, and that whatever is responsible for such inheritance resides in the fly's third chromosome. But despite much interest in homeosis in the ensuing decades, nearly 50 more years had to pass before Lewis' work led to the discovery of a complex of Drosophila genes whose role in development is to define the appendages that characterize each of the three segments that make up the thorax. In the normal fly, each segment carries a pair of legs, the second segment has a pair of wings, and the third a pair of balancing structures. Lewis discovered that when some of these genes become mutated, the pair of balancers turns into a second pair of wings, converting the third thoracic segment into the likeness of the second. A host of genes appear to act in this way, but each affects a different specific part of the fly. At about the time that Lewis was defining the genes involved in homeosis in the fly, Nüsslein-Volhard and her colleague Wieschaus were carrying out an extensive search for other genes that affected body pattern. They found so many genes with defined common properties that they were able to classify all the developmentally important ones into five basic types, each acting at a specific period during development. The last group included the homeotic genes. This work laid the ground for rapid progress, translating the genetic principles established over the previous century into molecular terms. In 1984, two groups, led by Walter Gehring in Switzerland and Matthew Scott in the United States, discovered that many of these genes had a common DNA sequence, just 184 bases long, which they named the "homeobox." Unexpectedly, they found a virtually identical sequence in many genes in almost all living organisms, including the vertebrates. Could this little sequence be, as Jonathan Slack put it, a "Rosetta stone" for understanding the common body plan of all living things? These discoveries initiated a tremendous resurgence of interest in segmentation. Before 1970, around 40 scientific papers on segmentation were being published in any one year. During 1994, nearly 5,000 such publications appeared. One factor in this increase in interest was the finding that many homeotic genes in the fly are clustered together and that their order in the chromosome parallels their time of deployment during development as well as the position of the segment on which they act. Genes found at one end of the chromosome act near the head, while those found near the other end affect the tail region. Vertebrates have four such clusters, totaling some 40 genes. As in the fly, the order of the genes in each cluster relates both to their time of action and to the body part on which they act. The most surprising observation came from a comparison between the sequence of bases for genes in similar positions in different clusters of the same animal (say, the mouse) with those in similar positions in the single cluster of the fly. For each position, the genes are more similar between mouse and fly than between two genes of any cluster within the same species. Subsequent work on the mouse established that the normal function of these genes is to inform embryonic cells of their position-a genetic address book. According to which of the 40 genes are active, a cell can tell how far from the head and from the tail it should be located. If all the genes in a particular position in all four clusters are silenced, one part of the body is converted into the likeness of another, a true vertebrate analogy of Bateson's homeosis. Genetics, molecular biology, developmental biology, and evolution are now united, fully vindicating the convictions of Darwin, Bateson, and Morgan. But the most interesting and important questions still lie ahead. How do these genes work? What mechanisms control their precise timing and exquisite spatial organization? What coordinates their activities such that with so few genes, we can produce such beautifully stereotyped patterns of development, generation after generation, being born with just four limbs in the correct places and correctly proportioned? And why does this process occasionally fail, producing congenital defects? Laboratories at Columbia are addressing most of these questions. In genetics, Gary Struhl and Andrew Tomlinson are extending Morgan's tradition of Drosophila studies, exploring intercellular signaling processes at the molecular level; Virginia Papaioannou, Franklin Costantini, and Argiris Efstratiadis concentrate on the genetic control of mammalian development; Debra Wolgemuth's studies of a homeobox in transgenic mice, and of a corresponding human gene, may help explain gut developmental abnormalities; my own lab combines experimental embryology with molecular biology to identify genes that induce and pattern the nervous system. These projects and research in other departments, such as biochemistry professor Thomas Jessell's work on the genetic control of neural development, biology professor Eduardo Macagno's studies of potentially unique homeobox genes in invertebrates such as the medicinal leech, or biochemistry professor Iva Greenwald's investigations of cell interactions in the nematode worm, place Columbia on the forefront of this field as well as its origin. Classical genetics, the study of mutations and how they are inherited, has uncovered the rules governing interactions between the components of living things even without understanding the precise molecular nature of these components. When the DNA is unraveled with the aid of molecular biology, even more unexpected and beautiful things emerge. The next two decades will no doubt be full of surprises. CLAUDIO D. STERN is professor and chairman of genetics and development at Columbia's College of Physicians and Surgeons. He has published more than 100 scientific papers and three books on developmental biology, and his research concentrates on the mechanisms that control the development of body pattern in vertebrates. His e-mail address is cds20@columbia.edu.